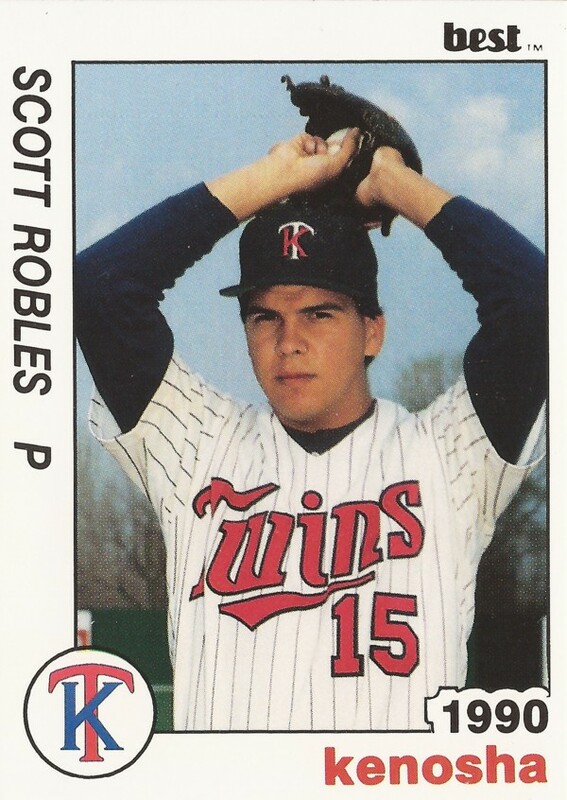 Scott Robles used his pitching skills from Mount San Antonio College to catch the eye of scouts for the Twins. At Mount San Antonio, Robles put up a 6-2 record in 18 games in 1989. He also ended with a 2.64 ERA, according to The Los Angeles Times. Robles soon found himself signing with Minnesota and turning pro. His pro career, though, was brief. It lasted just two seasons. Robles' career began that year in 1989. He wasn't taken in the draft, but he did sign as a free agent with Minnesota by late June. Robles went to Mount San Antonio out of Baldwin Park High School in California. With Baldwin Park in 1986, Robles and his team made it to the California Southern Section finals. With the Twins Robles started in the rookie Gulf Coast League. In 12 starts, he went 3-6, with a 3.22 ERA. He also struck out 37 in 67 innings of work. Robles moved to single-A Kenosha for 1990. In 34 outings, eight starts, Robles went 3-5, with a 4.75 ERA. He struck out 70 in 89 innings. It was his final season as a pro.